I had the pleasure of chatting with sports podiatrist Dale Gooding from Auckland Sports Podiatry about plantar fascia pain and tips for its current best management. Thanks to Dale for taking the time to chat to me, read on for some tips from a reputable podiatrist in Auckland. 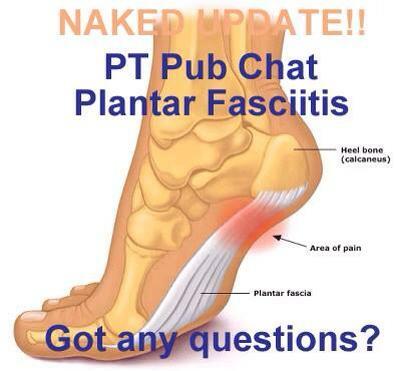 TNP: Hi Dale thanks for joining me for a PT pub chat, we are here today to talk about plantar fascia pain and the current best management. Dale: Thanks TNP, can I just say I’m glad to see you are fully clothed! TNP: I don’t want to scare the readers off! So my first question can you tell me what plantar fasciitis is? TNP: So not to dissimilar from a tendinopathy as microtears also form within the tendon. Dale: Yep that’s right there is some research out there to suggest that the journey of the Plantar fascia into a degenerative state follows the same journey as a tendon. So it could be referred to as a plantar fasciopathy. TNP: So where is the Plantar Fascia? Dale: Well the plantar fascia runs from the heel along the under surface of the foot fanning out towards the toes. TNP: What’s the most common place for plantar fascia pain to occur? Dale: You can get pain anywhere along the plantar fascia but the most common places are the medial slip, which is along the arch of the foot but more commonly it manifests in the origin of the plantar fascia which is located at the heel. TNP: What are the common causes and features of plantar fasciosis? Dale: The main cause of plantar fasciosis is down to overuse of mechanical load such as in running or performing a high impact sport. However there can be a number of other pathological causes such as neurological, arthritic, traumatic and other causes. The common features are pain located in and around the heel area, morning pain is very common, pain on initial weight-bearing after periods of rest and this can be exacerbated by poor fitting shoes. TNP: Ah we will talk about shoes a bit later! So In terms of treatment what would you advise? Dale: Well the kiwi attitude of ‘she’ll be right!’ doesn’t really bode well for plantar fasciosis. If you can catch it earlier enough in the first couple of weeks rather than waiting a couple of months where it travels on the degenerative journey you can sort it quite quickly. Unfortunately we tend to see patients much further down the track. Massage and stretches of the plantar fascia, which should be between 40 secs to a minute, stretches for calf and achilles are helpful, the old frozen coke bottle is a pretty useful self massage technique. It’s also important not too load to early. If we think about how we address current tendinopathies graded loading is extremely important. Strapping the foot is also very helpful to take pressure off the plantar fascia. I would generally advocate conservative management first such as physiotherapy before jumping to orthotics in the acute stages but if conservative management has failed, and we are talking up to 6 months the patient has suffered with symptoms for a number of months then I would resort to prescribing orthotics to address biomechanics. TNP: Interesting! Do you think something like orthotics are over-prescribed? Dale: No I don’t think they are as long as there is justification to prescribe them and if there has been no resolution in symptoms from conservative management. An orthotic is a passive restraint to help offload tissue and support the foot. If there is a need then yes I will prescribe but I would still aim to increase plantar fascia strength in order to increase load tolerance. TNP: So do you have any tips on footwear when it comes to plantar fascia pain? Dale: Yeah makes sure you don’t walk in flat soled shoes and walking around in bare feet is not recommended! Ideally a heel is helpful as this reduces the strain on the plantar fascia, what we call a stack height which is like a traditional running shoes. A standard stack height is around 10 mm. So a pair of good supporting runners will help to reduce pain. What is also really important is that you check you runners for wear in the tread and creases forming in the heel. If you compress the heel of your runners you might see creases in the heel this shoes where weakness in the trainer are starting to occur. A loss of medial support as well is something to consider, so if you are finding those sorts of things in your trainer you might want to think about replacing them. Dale: Great question! Sounds like a job for the naked physio! Ok so firstly good for her to be continuing with maintaining her cardiovascular fitness with swimming that is important. I would have been interested to know if she is tumble turning as this requires drive through the foot and may exacerbate her symptoms. Netball is a high impact sport and a season of repetitive loading over 10-11 months may be the start of a degenerative journey of the plantar fascia. In answer to her question about yoga, I assume that she will be performing certain poses in standing which may cause her to dorsi flex or extend her big toe. The extension of her big toe will effectively wind up her windlass system which increase the tension in the plantar fascia and with the load of her body and muscle activity will probably strain the plantar fascia resulting in pain. Dale: Windlass is essentially a fulcrum at the big toe which on dorsi flexion or extension of the big toe causes the plantar fascia to tighten, like a rubber band. You can see this happening if you passively lift the big toe off the floor whilst in standing the arch of the foot starts to lift. It provides stability and support to the foot during walking/running or high impact sports. Foot pronation problems can cause a loss of windlass control. Dale: In terms of loading the plantar fascia it’s difficult to say without really assessing the foot. However with the new evidence suggesting that it is a tendinopathy and that it is a load tolerating structure a gradual increase in load may be necessary. So considering isometrics to address the load tolerance and perhaps working intrinsic muscle of the foot too. However because of the complexity of the foot, biomechanics and windlass, I would advise that if she hasn’t been to see anyone that she should consider doing it rather than trying to manage it on her own particularly if she has had to endure symptoms for a period of time, what did I tell you! The old she’ll be right kiwi attitude right there! TNP: Dale thank you very much for taking the time to talk to me, some really good tips and good advice for the naked physio followers, what a successful first PT Pub Chat!!! Thanks to Dale for providing an insightful and thought-provoking chat. It appears that we may be seeing plantar fascia being classified as an ‘opathy’ rather than an ‘itis’. I’m sure there will be some more exciting research coming out of this area soon. As per usual though if you are experiencing any of the above symptoms please consult your medical professional, physio or podiatrist.